Come along to soak up the sun, fun and family-friendly entertainment at The Woodside Pleasure Garden during the last two weeks of the Summer holidays! We’ve got an awesome program of free and ticketed Children’s events starting on 18 January ‘til the end of the school holidays, as well as tonnes of music, comedy, circus and theatre shows suitable for all ages throughout the entire Festival. 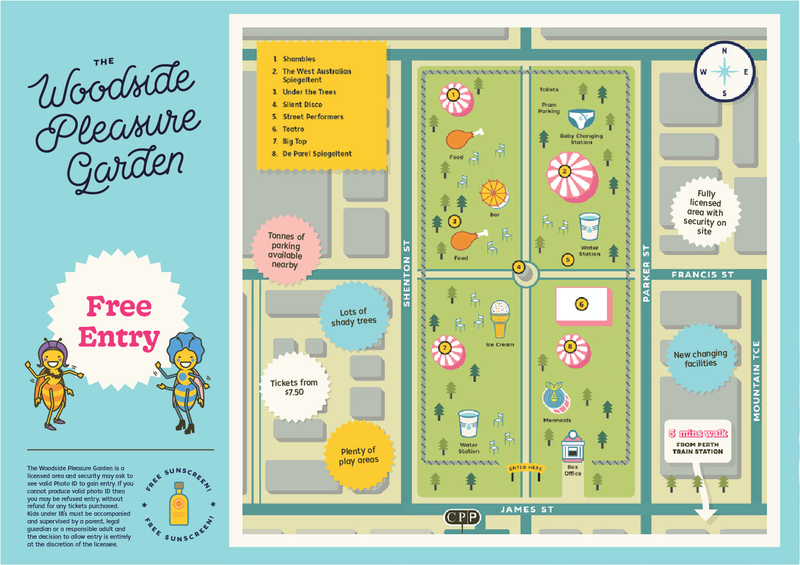 The Woodside Pleasure Garden is the place to be from 1pm, with free outdoor activities, cool picnic spots and plenty of delicious cold drinks and eats available for purchase from our amazing vendors. It’s the perfect grand finale for the Summer holidays for both kids and parents! If you're looking for the full list of kids and family-friendly shows to see across the many many Fringe venues in the school holidays, follow the button below!